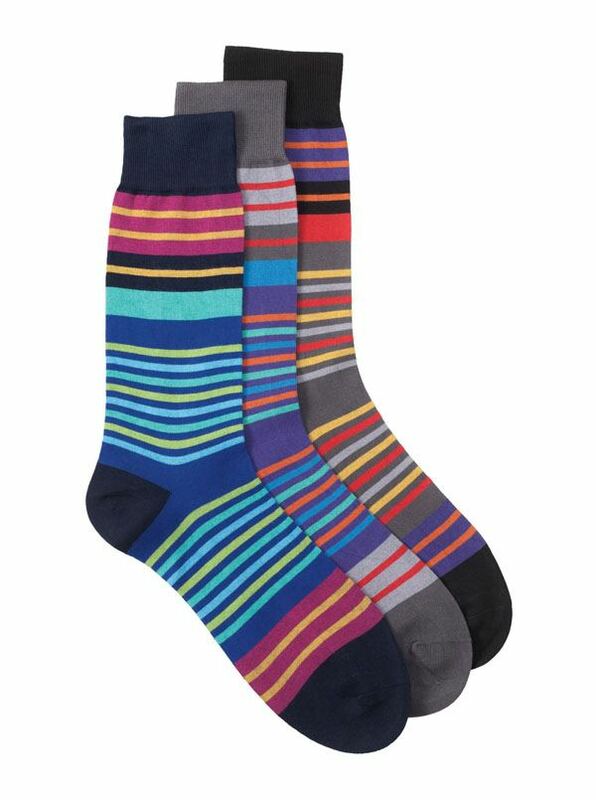 Multicolor Stripe Cotton Hosiery from Pantherella of soft lightweight blend of 72% cotton with 28% nylon for resilience and long wear. Handclosed, seamless toe. Medium fits shoe size 7 to 11 1/2 Large fits shoe sizes 12 to 14.Front to back navy, dark grey or black.